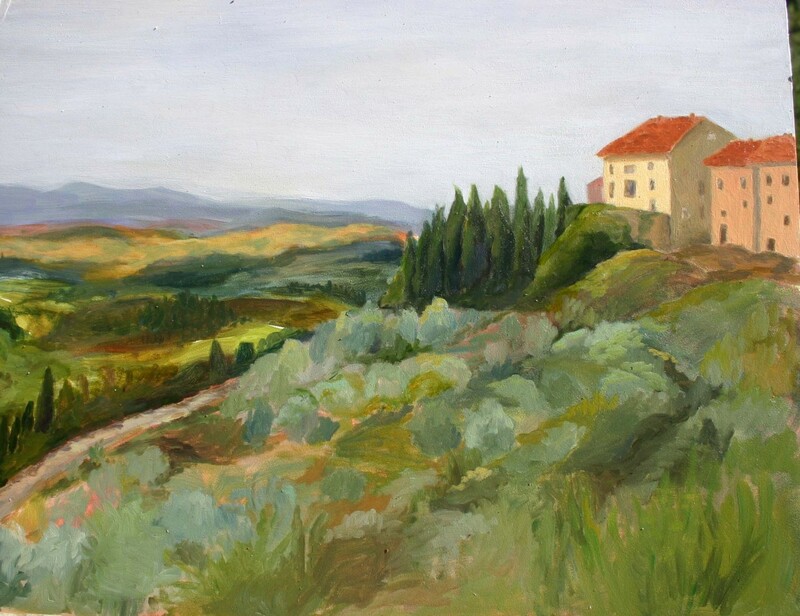 This piece was painted entirely in 'Plein Air' on location in the small village of Castelfalfi, Tuscany, Italy. Oil on board, framed in gold leaf. Frame is optional- contact artist for details.